You can choose either an indoor session in the comfort of Wendy's home studio, outdoor session, or combination indoor/outdoor session. The outdoor sessions are done at either Fox Run Park, Rock Ledge Ranch or in Old Colorado City and will take place Monday thru Friday. What if I want to do a session in a location other than the ones listed above? Some people choose to do their outdoor session in a different location. Please inquire if you are thinking about a different outdoor session location as there might be an additional cost. You can wear three different outfits for each session that you choose. For example, if you choose just an indoor session, you can wear three different outfits. If you choose a combo session, you can wear three outfits indoors and three different outfits outdoors, for a total of six different outfits. Letter jackets (or any jacket for that matter) does not count as an outfit unless you have to change clothes to go with it. Yes! Props are encouraged but not necessary. You can bring your guitar, sports equipment, car etc. I would like to be photographed with my dog, is that possible? Absolutely! We can photograph you with your dog either indoors or outdoors, however, generally dogs do better during an outdoor session. I would like a few images with my sister/brother. Can you do that? You bet! Siblings are welcome to jump in for a few shots. Remember, the session is about you, but we are more than happy to photograph you with your siblings for a few of the images. This is true for best friends, boyfriends/girlfriends and a parent as well. We do recommend scheduling an actual "family session" on a different day, however, so that this day can be just about you. At the time of your photography session we will schedule a "Viewing and Choosing" appointment which will take place approximately a week after you are photographed. This session lasts about an hour. We will begin with a slideshow to music where you will get to see an overview of the images that we took during your session. After the slideshow is done, we will review the images one at a time to compare them and narrow down to your favorites! Can I take proofs home? There are no paper proofs to take home so you will want to make sure that all of the decision makers are available for your "Viewing and Choosing" appointment. Normally it is just the mother and senior at the appointment but sometimes dad likes to come along. Don't worry, Wendy will provide guidance to help you select the images that you will love. If you want to bring a friend or other relative that is fine as well, but just remember that each person who comes may give an opinion and you may wish that you didn't have so many people providing their input for "your" senior portraits. Why can't I have paper proofs to take home? You will find that it is much easier to see your images when they are displayed on a large screen than in a small paper format. We will be able to zoom in on images, change them to black and white or sepia and crop them right during your "Viewing and Choosing" appointment. These are things that can not be done with paper proofs. Your yearbook photo is included in your package purchase. Simply bring the guidelines that your school has set forth regarding your yearbook specifications to your session and we will capture an image that reflects your personality and meets the yearbook requirements for your school. You will either receive your yearbook photo via email or on a flash drive (depending on the package that you select) and you will simply turn in that digital photo to your school prior to the deadline (which will likely be sometime in the early fall). What if I wake up the morning of my session with a zit! Don't worry! All portraits that leave Captured Moments are retouched to remove blemishes and soften facial lines. We can not retouch for a sunburn, however, so please take care not to engage in an activity where there is the possibility of getting a sunburn for several days before your session is scheduled (water world, sports or band camp, etc). I wear braces and won't get them off until the end of my senior year! There are several options available if you wear braces. One option is to have the braces "digitally" removed in your portraits by our lab (braces removal is the only retouching that we do not do in house). The cost for this is $20/image for the original image (so you would pay this fee only once for that image and all portraits you made from that image would not have the fee). Often people choose to only have their braces removed on a few of the poses, but not all of them. Another option is that we take just a photo for the yearbook in time to meet your school's yearbook deadline and then do your actual session later in the year after your braces have been removed. Finally, some orthodontists are willing to remove a number of the brackets and wires off of your teeth for your session. You will need to inquire with your specific orthodontist about their willingness to do that for you. When you call to book your session, please be prepared to provide a credit card (Master Card or Visa) as we charge the session fee at the time of booking. What if I need to reschedule my session after I have paid? With a 48 hour notice we will gladly reschedule your session with no charge. If you cancel or need to reschedule with less than 48 hours notice then you may forfeit your session fee depending on the circumstances. If the weather does not permit us to do the outdoor part of your session, we will need to reschedule just that part, and there is no charge to you. However, you should still plan to come for the indoor part of your session on your session day, even if we are unable to do the outdoor segment due to the weather. This all sounds great, but how much are the packages? We know that it can be very confusing when comparing the prices of different studios and it is nearly impossible to do an "apples to apples" comparison. Therefore, we have tried to make the pricing as easy to understand as possible, but most of all, there are no hidden costs. In other words, you won't find out after the session that you will be charged for retouching, a yearbook photo meeting your school's instructions, etc. All of our prices are listed below in a clear and simple format. With that being said, most of our clients spend between $500 and $800 for their senior portraits (although there is a package that starts at as little as $249). With the exception of the $249 package, all of the packages include an 11x14 sized portrait that is mounted on art board and has a linen texture applied to the top of the portrait. All portraits (in all of the packages) that are sized 8x10 or larger are mounted on artboard to prevent sagging and bending, and everything 5x7 or larger has been sprayed with an environmentally safe, water based, protective coating. What if I want to print my images myself? Digital packages are also available for your purchase. Includes a 5x7 portrait of 3 images plus the high resolution, fully retouched digital file of each of those images on a usb drive. It also includes the rights to reproduce those images. My parents don't have an 11x14 of my older sibling so they won't want that size for me. No problem -- you can just make two units out of that 11x14 portrait instead. What is a "Collage Wallet"? Collage wallets are the size of a business card and have 5 images on the front, plus your name and the letter that your name starts with, and one image on the back. They are totally cool and no other studio sells them so you will have a truly unique product. What is an "Image Book"? An Image Book is a spiral bound book that contains up to 20 of your favorite images sized 5x7 and textured. It can be added to any package for $200. Can I add other portraits to my package? Absolutely! You can add any sized portrait to your package -- just ask about prices at the time of ordering. We want to do a family portrait as well. Is that possible? Included with your package purchase is both a free family portrait session and a free "Cap and Gown" session. However, you will want to schedule your family session on a different day than your senior session so that we can give the due attention to each of the different sessions. Your senior session is all about you and we want you to have the chance to be the undivided star for that time period and not have to worry about also posing for family portraits. My mom wants to use her cell phone or another camera to take some images of me during my session, is that ok? We ask that you refrain from taking any photos (with a cell phone or other camera) during your session while Wendy is photographing you. We realize that there are many choices out there for Senior Photography.  At Captured Moments, we promise to provide superior customer service, a superior product and to make your special day unforgettable! Our portraits tell a story.... let us tell yours.